This kit combines the Silicate, Phosphate, and Iodine/Iodide kits into one kit. 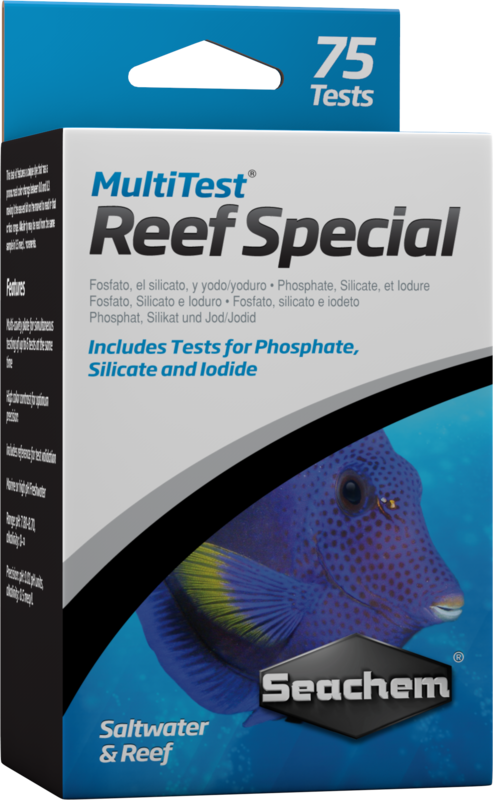 MultiTest™ Reef Special performs over 75 tests and contains reference samples for validation. The silicate test measures silicates to less than 0.5 mg/L in marine or freshwater. This test measures soluble silicate and reports it as silicate concentration. To convert to silicon, multiply by 0.3. 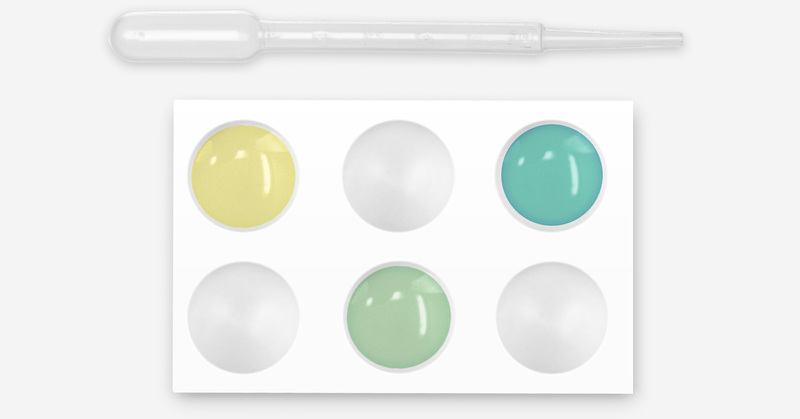 The phosphate test measures inorganic phosphate to less than 0.05 mg/L, producing a unique easy to read yellow-green-blue color range in marine and freshwater; however, usually, freshwater phosphate concentrations will be beyond the range of this kit, and dilutions of the sample with distilled water will be required. The iodine/iodide test offers a quantitative test for this important element of soft and hard coral growth. It measures iodine or iodide to less than 0.005 mg/L. The color scale peaks at 0.10 mg/L. And with the multi-cavity test plate, multiple tests can be run at the same time. It isn't necessary to run a reference test to use this kit; however, its proper performance can be validated by running a test in the normal manner except that the reference sample is used in place of aquarium sample. You might choose to run a reference test if you have cause to believe the test is giving incorrect results. If you run a test using the reference sample and obtain the correct result (based on the known reference value provided) then you can safely be sure the test is giving accurate results. All MultiTest™ test kits are read from an opaque white test plate. The sliding color chart along with the six-cavity test plate allows for easy reading and comparisons of several samples at the same time. Why am I not showing any iodine/iodide when I test? I am adding it regularly. A: Iodide is rapidly dissipated in an aquarium. Many iodine supplements are inadequate to raise iodide to near sea water concentrations. 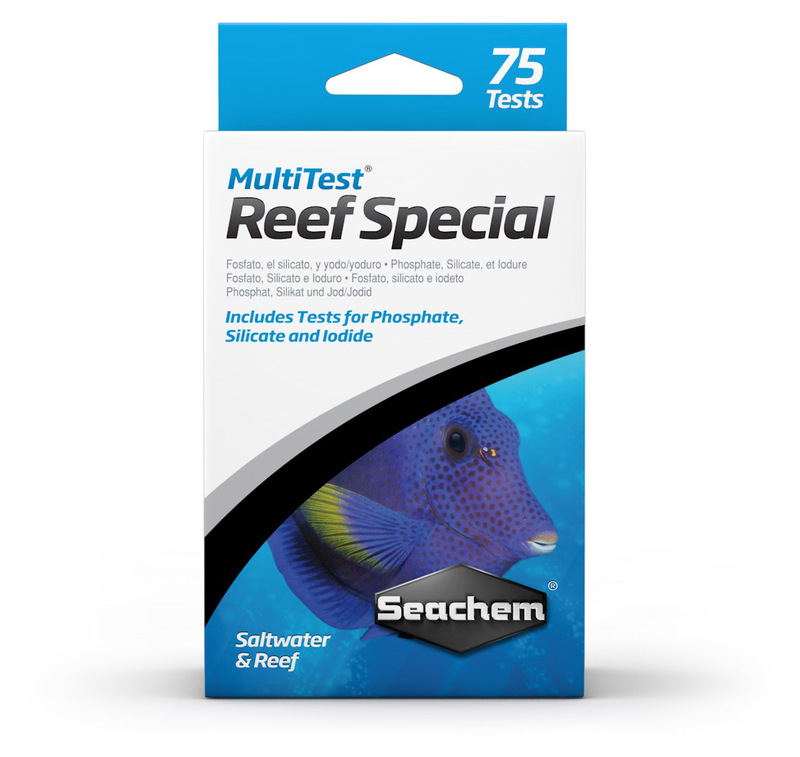 To validate your kit use the included reference or prepare a known concentration from an iodide source at a specific concentration, such as Seachem’s Reef Iodide. KEEP AWAY FROM CHILDREN! This kit is not a toy. It may be hazardous if used carelessly or contrary to instructions. Reagents contain chemicals which may be irritating. Avoid contact. Wash hands after use. If accidental spillage or contact occurs, wash exposed area thoroughly and rinse with water. If eye entry occurs, rinse eyes immediately with water for 10 minutes and then seek medical attention. While reagents may be irritating, they are not corrosive or harsh and should not ordinarily pose a health hazard. Silicate Reagents 1a & 1b contain sulfuric and molybdic acids and are corrosive! Reagents are corrosive to skin, metals, and fabrics. Avoid contact. Protect work surfaces with plastic liner or newspaper. If accidental spillage or contact occurs, wash exposed area thoroughly and rinse copiously with water. If eye entry occurs, rinse eyes immediately with water for 10 minutes and then seek medical attention. Phosphate Reagent #2 contains sulfuric and molybdic acids and is corrosive! It may be hazardous if used carelessly or contrary to instructions. Reagents are corrosive to skin, metals, and fabrics. Avoid contact. Protect work surfaces with plastic liner or newspaper. If accidental spillage or contact occurs, wash and rinse exposed area thoroughly with water. If eye entry occurs, rinse eyes immediately with water for 10 minutes and then seek medical attention.